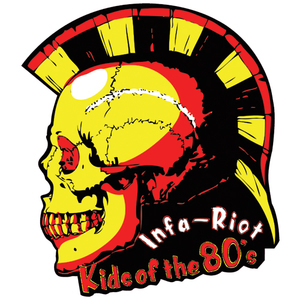 Infa Riot were formed in 1980 (not 1979 as published incorrectly in other biographies/CD booklets) by Barry D'Amery and Lee Wilson, after becoming friends with the Angelic Upstarts at the Lordship pub in Wood Green north London. Lee’s brother, Floyd Wilson was recruited to play Bass. Barry and Floyd were only 15yrs old at the time and Lee was 17. Over the three or so years they were together they had a total of six drummers, one of them being the brilliant Alex Cardarelli who went on to join the Upstarts and Bad Manners and is in the new line up along with Lee and Barry. Their first gig was at the Lordship supporting the Upstarts. They then went on to support them on a UK tour. 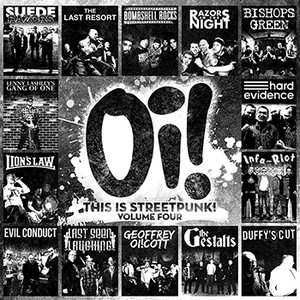 Two tracks were recorded for the “Strength Thru Oi!” compilation album in 1981 which reached No.51 in the national album chart. Soon to follow was their first single “Kids of the 80's” produced by Max Splodge which reached No.8 in the UK indie charts. In 1982 the second single entitled “The Winner” was released which reached No.9 in the UK indie chart. Also that year The track “Power” was recorded for the “Wargasm” compilation album and the debut album Still Out Of Order was released and spent a month in the national chart reaching No.42 receiving a top notch review in melody maker. This was followed by tours with the Exploited and also a one off trip to Greece to play in Athens. In 1983, after pressure from the record company following trouble at gigs and negative press, they were “advised” to tone down the image and change their name to the Infa’s. (Mensi's nickname for them at the time). This seemed to spell the end for them as they felt they were no longer in control of the music which the fans loved and wanted to here so they reluctantly called it a day. A couple of years later a comeback gig was organised. Unfortunately the drummer at the time thought it would be a great idea to get totally pissed to the point where he could barely stand before going on stage and let the rest of the band down badly. And that was the end of Infa Riot..........UNTIL NOW…. 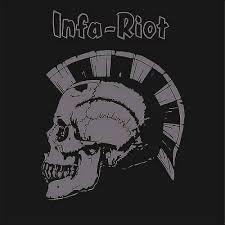 Infa Riot: "OLD AND ANGRY" 12"